- Spherical ( Available upto 300 lts in Capacity). 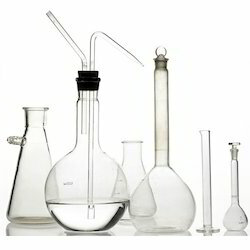 Jacketed and non-jacketed borosilicate glass vessels available in 2L, 5L and 10L working volume the top lid, sparger, baffles, vent condenser and metal Part made from SS316L, electro-polished. Rushton turbine, 3-blade segment impellers, micro-sparger and other process specific accessories available. 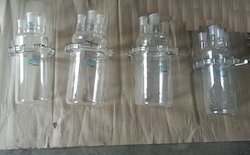 In the most of chemicals & pharmaceutical plant vessel are used as reactor, receivers, separator, measuring, feed and etc. Vessels can be operate under full vacuum as per given working pressure rating in our technical information. Vessels are available in spherical & cylindrical shape form 5 to 500 liter capacity. Vessels are available in Spherical Shape from 5 to 500 liter and in Cylindrical Shape from 5 to 500 liter capacity. Cylindrical vessels can be supplied with metal/glass jackets too. All vessels are provided with a bottom outlet for which a suitable valve can be chosed from range of valves. Cylindrical vessels can be used for various application such as reaction, separating receiver, feeding etc. 50 liter and above cylindrical vessels need to be supported in a vessel holder. And We are Manufacturing Cylindrical Glass Vessel Up to 500LTR.